Most people like to stay up late at night. They like watching TV in the late hours, or stay up online browsing the net unnecessarily, or some may go to bed but end up laying there for hours thinking about the negative things in life. Whatever it is that they do, they have one thing in common; they end up having a negative effect in the next morning. Nothing mentioned here do them any favors when they wake up next morning. However, you can change all that by doing certain things which will give you a bright start to the next morning. Listed below are such 10 things which you would be wise to do. 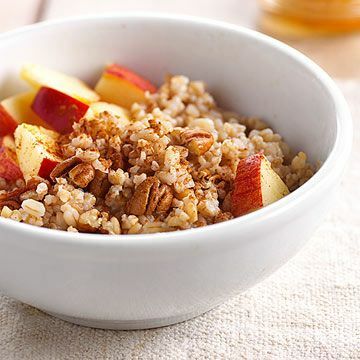 One of the most common mistakes that most people tend to make is skipping breakfast. Why is that? Making breakfast, early morning can be time-consuming. It may make you rush for work or school. As a result, people leave their home on an empty stomach. This is bad for the health as breakfast is indeed the most important meal of the day. It keeps you energized all through the day and helps for better brain functioning. The smart thing to do in this case is to prepare your breakfast the night before. Simply put out the cereal bowl out front along with the cereal box. Put the coffee beans in the coffee maker so that you just have to add water. Keep the bread and egg on the kitchen counter so that you can whip up a quick breakfast.